PNC’s highly-rated online services and apps make it a popular banking choice. But it’s not for everyone; learn more in our PNC review before opening an account. You won't find PNC in every state, but you can access its services anywhere thanks to solid online banking options, like Virtual Wallet. 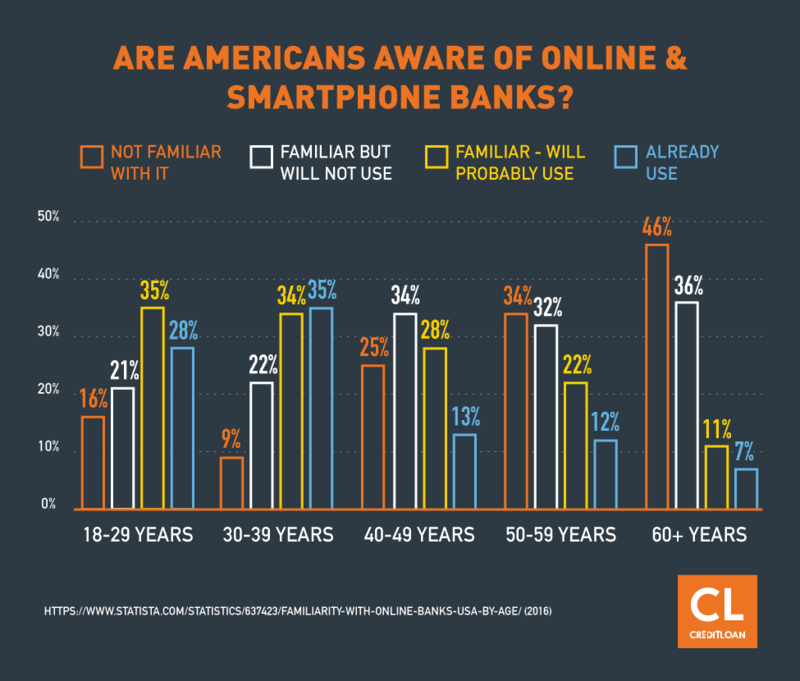 Of course, online banking isn't for everyone. This review will help you decide if PNC is the right banking choice for you. Keep reading to see what else PNC offers, and decide if it is the right bank for you. PNC was founded in Pittsburgh, Pennsylvania in 1845 and today operates branches mostly on the East Coast and in the Midwest. It's the sixth largest bank in the country by deposits, and third largest by number of off-premises ATMs, with more than 2,600 bank branches, 9,000 ATMs, and online and mobile service. PNC bank offers all of the standard services of a traditional bank, including personal and business banking. This review focuses on personal banking, and you can check out PNC's business banking services here. Its best service may be the Virtual Wallet (we'll get to that in a second). Let's start first with all you can get from PNC (hint: it's a lot). Virtual Wallet is an online tool that helps you navigate and control your finances. 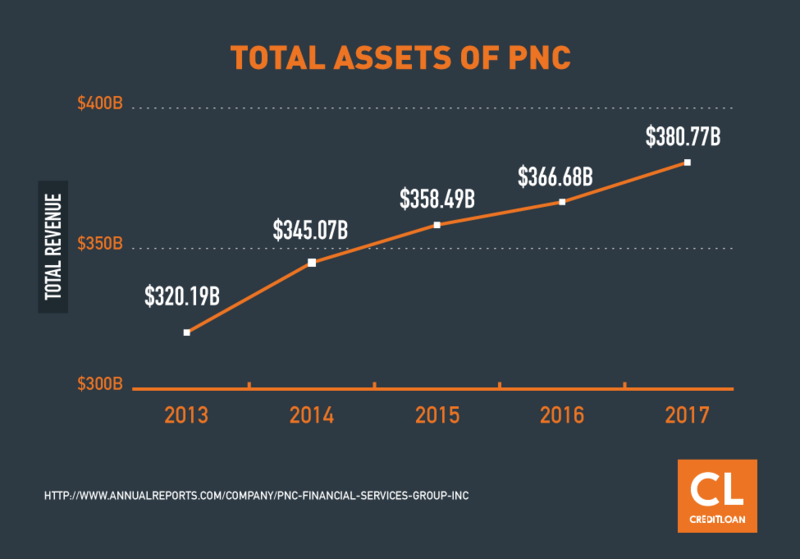 Andrew Malamet, finance blogger for Corporate Insight, says "PNC has created a comprehensive tool that provides one of the best money management platforms currently available." It is part of PNC's checking account packages, and its split into three sections to help you manage your finances: Spend, Reserve, and Growth. With Virtual Wallet Spend you manage every day expenses and can pay bills. If you use the Virtual Wallet Visa Check Card that comes with the account, this is where it deducts from. Virtual Wallet Reserve is a short-term savings account that protects against overdraft fees. For long-term savings goals use Virtual Wallet Growth. It is possible to earn the high yield rate if you meet certain requirements, like making at least five qualifying purchases in a month with your Virtual Wallet Debit Card or setting up qualifying monthly direct deposits to your Virtual Wallet. Virtual Wallet offers a variety of standard features including online bill pay and transfers between accounts. But there are other perks you may not have at your current bank, like the ability to use two non-PNC bank ATMs for free each month, or the opportunity to protect yourself from overdraft fees. Here are a few other features you may be interested in. The Virtual Wallet calendar is an easy way to track your spending and income daily. It's easy to understand and allows you to view all of your banking information in one place. Through the calendar, you can check your balances, track your bills, get reminders for upcoming bills, mark paydays and stay ahead of "danger days." What sets PNCs virtual wallet apart from competitors is that it is always thinking ahead. The PNC Virtual Wallet will add icons next to your "danger days" to warn you of a potential overdraft and stay there until you have sufficient funds. The Money Bar, which you can see on the quick view and account detail screens, represents the balances of your Spend and Reserve accounts. It also shows the what you've "Scheduled Out," or already committed to scheduled bills and payments over the upcoming two weeks. Set money aside in your Reserve and Growth accounts to allocate for specific spending goals. Track how close you are to that dream vacation on home purchase with PNC's progress meter, which will tell you how close you are to reaching your goal. Spending Zone is best used for budgeting. It shows how much you're spending in different categories and lets you compare your spending over time. There is an email alert feature which lets you know when you're nearing or exceeding a particular budget. In addition to setting aside a certain amount when paying a bill or creating automatic savings, the PNC Virtual Wallet gives you the option to "punch" rather than click the piggy bank icon at the top of the interface. When you do this, an amount designated by you will be sent from your spend to your growth account. PNC offers two checking account services: performance spend and performance select. Both can be combined with Virtual Wallet. In both accounts, you can earn interest on balances of $2,000 or more, as well as bonus points for linked PNC credit cards. Customers who want online tools and premium banking services will enjoy these types of perks here. There are no monthly service charges if you meet any one of the following criteria (otherwise a $25 fee applies). You'll need a $25 minimum to open a performance spend account. There's a $15 fee if you fall short in any of these area in any given month. A minimum of $25 is needed to open a checking account with PNC bank. You must keep a balance of $500 in your account or you will be subject to a $7 maintenance fee. PNC checking accounts come with overdraft coverage. The bank will cover your ATM and debt card transactions if you overdraw your account. You must opt-in to use this feature. It's important to note that PNC says they pay overdrafts at their discretion, which means they don't guarantee they are going to authorize any type of transaction. Also important to remember: If you're going to overdraft, be ready for fees. PNC charges $36 each time they pay an overdraft, with a limit of 4 charges per day. Also, a $7 fee may be assessed each day your account remains overdrawn for a period of five or more consecutive calendar days, up to a maximum of $98. This charge is in addition to any overdraft item fees or returned item fees assessed. Your checking account will automatically come with a Virtual Wallet option. PNC offers a variety of savings accounts ranging from the more traditional standard savings account to the Virtual Wallet, and even offers an option for those under 18 with a financial education component. PNC also offers CDs and IRA accounts for long term savings growth. The Virtual Wallet Growth Account has a standard rate of .01% but if you use all of the other Virtual Wallet services, you can earn a higher interest rate. To avoid the $7 you need an average daily balance of $500. With a Premier Money Market account, you can earn higher interest rates. The minimum deposit to open an account is $100 to open an account (max $10,000) and you’ll need a $5,000 average daily balance to waive the $12 monthly fee. PNC’s standard savings account costs $25 to open and allows for unlimited deposits and transfers. There is no service charge for account holders under 18. For everyone else, the $5 monthly fee is waived if you have an average daily balance of $300. PNC's best rewards come when you hold all of the Virtual Wallet services, which offer you a relationship interest rate. Furthermore, if you're a college student, PNC won't charge you monthly account fees on Virtual Wallet as long as you're in school. If your school partners with PNC, look for classes in financial education and money management provided jointly by the bank and your school, which is another perk PNC offers to college students. Overall, users who save with PNC tend to be very happy with the services, citing things like great interest rates, easy budgeting, and the ability to link all account easily as the main reasons they stick with PNC. Certificates of Deposit (CDs) are a way to save money that can offer better interest rates than savings accounts. PNC offers a variety of terms on CDs ranging from 7 days to 10 years with automatic renewals. With a PNC credit card you can choose to have a low-interest rate, or earn cashback, travel rewards, or points. Many reviewers find the rewards and points lackluster. Additionally, you may not be eligible for a PNC credit card depending on where you live. The Cash Rewards Visa, for instance, is only available in states where the bank has a physical location. It is possible to find better rewards programs, but having a credit card where you bank can be convenient. You can get a loan or line of credit through PNC. Unlike many financial institutions PNC offers both secured and unsecured loans. If you're looking for an unsecured loan, PNC will let you borrow $1,000- $25,000 on a six month to five year term option. With a secured loan, you'll be able to borrow more ($2,000-$25,000), but you'll need to put down something non-real estate for collateral—like a car or jewelry. Your car must be less than eight years old and have less than 80,000 miles on it if you want to use it as collateral. The unsecured and secured loans have fixed interest rates and payments come in a lump sum. Personal lines of credit at PNC vary from $1,000 to $25,000 and you decide when and how much to borrow based on your credit limit. If you're looking for a mortgage on a new home or looking to refinance your current mortgage, you can do both with PNC. The mortgage website provides a comparison of its products (fixed and adjustable rate mortgages, Jumbo loans, FHA loans, as well as combination and VA loans). You must have a minimum credit score of 620 to qualify, and in many cases, similar to personal loans, your debt-to-income ratio can't exceed 45%. Staci Titsworth, a regional manager, says that while it's not required, you might want to get pre-approved for your mortgage before putting in a home offer. It's also important to understand that income, credit history and score, debt-to-income ratio and your assets will be reviewed as part of the pre-approval process. You'll start this process online, in person, or on the phone. PNC offers both fixed rate and variable rate college loans. PNC doesn't offer consolidation loans, which lets you combine all of your federal and private student loans into a single payment. PNC does not charge an origination or application fee on student loans. It is also worth mentioning that, unlike many other private student loan companies, PNC doesn't offer any rate-reduction incentives when you apply for student loans. PNC has a comprehensive digital banking platform. Virtual Wallet, the PNC app, and mobile banking all make for a platform where you can do the majority of your banking from your phone and computer. You can even send money to your family and friends from your PNC account using Popmoney®. There are several banking apps you can download to your smartphone. These offer mobile ways to manage your finances, deposit checks, access your Virtual Wallet, and more. PNC lets you transfer funds, pay bills, and view statements online. You can also sign up for PNC alerts and get text or email notifications about key activities and security threats. While many users and reviewers note that the platform, particularly the Virtual Wallet, is easy to use, others have complained that it is too complex for them. If you've handled basic online banking and mobile check deposits, you shouldn't have an issue using PNC's digital platform. If you prefer traditional banking methods, you may want to go with a different financial institution with a more traditional online service. 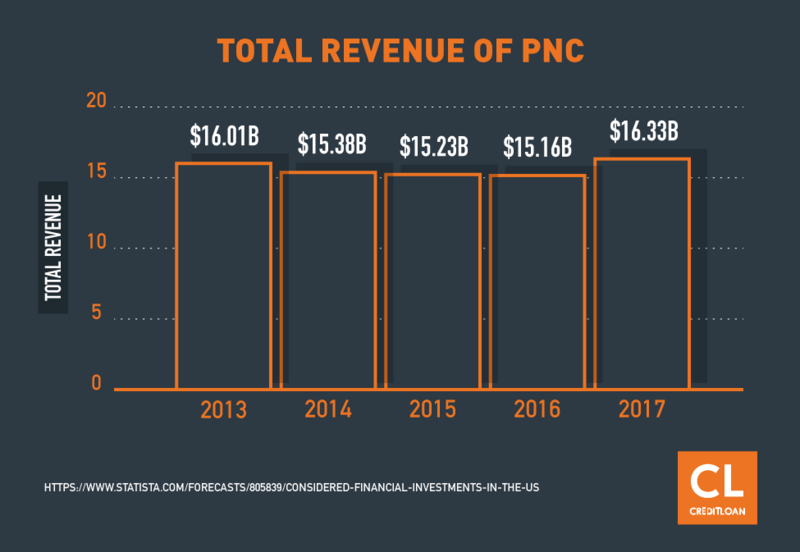 PNC's biggest strength may lie in its virtual wallet, which many users say is very user friendly. Users have even gone as far as to dub the service "fantastic" for those that consider themselves tech savvy. The site is easy to navigate and clearly explains its products and services. For anyone looking to do most of their banking online, and don't care about face-to-face time, PNC will likely be a great banking partner. But if you do want to do your banking in person, and live near a PNC branch, you may find customer service suits your needs. Many of PNCs positive reviews are from people who actually interact with customer service in a branch, with some calling out specific representatives. In addition to the online platform, the company also has a robust mobile platform, with many tools to use on your mobile device. It is important to note that reviews are mixed, so you may want to check out for yourself if the mobile capabilities are what you need them to be. Another major point of strength is PNC's offerings for students. Because PNC partners with universities on things like student banking and achievement sessions, if you're a student or the parent of one, there's an opportunity to start a financial future with the bank with the support of your chosen university. The last major strength to highlight is that monthly checking fees, compared to other banks, are not as high. If you're a global, or even U.S. traveler, PNC bank may not be for you. Because the bank is not available country wide (only 19 districts), you may have some difficulty getting all your banking done, or avoiding out of network fees, like those pesky $3 ATM fee. Overall, reviews highlight that if you're on the East Coast, this is a great banking option for you. If face-to-face local branch service is something you need, and you aren't in a PNC area, you might want to go with a different option. The banks other major weak point is certainly customer service, where reviews, while mixed, are mostly negative. Many other customer complaints center around fees. There are also a great many complaints about PNC mortgage fees and services. Some PNC Bank mortgage reviews on Consumer Affairs complained that fees could be very extreme. Other PNC mortgage reviews stated that the bank had individuals' addresses wrong, which lead to tons of penalties. Others complained of poor customer service and misplaced payments, which led to—you guessed it—even more fees. 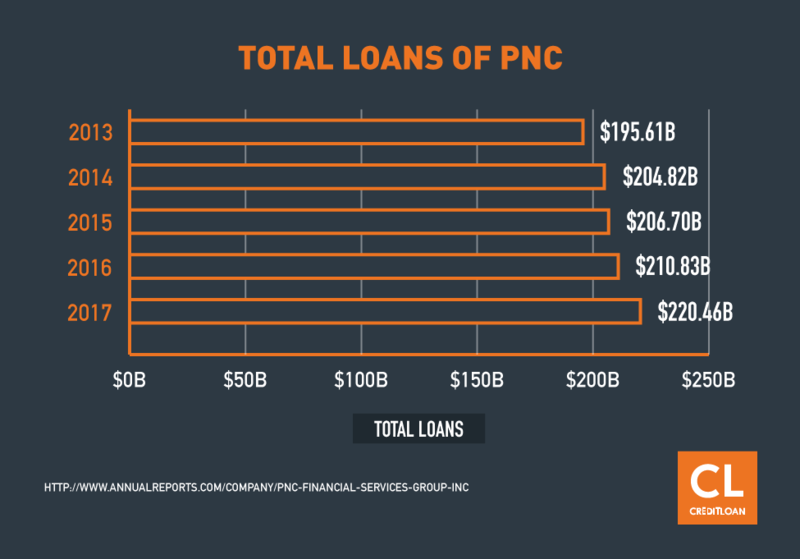 Which credit bureaus does PNC report to? PNC reports to all three major credit bureaus: Equifax, Experian and Transunion. How can I find my PNC bank routing number? PNC has detailed information on where you find your routing number. On paper checks your bank (ABA) routing number can be found at the bottom of your checks. Can you get foreign currency at a PNC bank? Can you transfer money from PNC to another bank? Yes, you can do both, but the customer service representative that we spoke to said you can only do this online. PNC, like most lenders, will look at your credit bureau reports to check for major red flags, delinquent bills or bankruptcies. They'll also look at your debt-to-income ratio and your credit score to help determine your limit. How can I request a credit upgrade? You can request a credit upgrade by calling PNC customer service at 1 (888) 762-2265. How much can you overdraft with PNC bank?How much is a safety deposit box at PNC bank? A PNC safety deposit box costs $100 yearly. Can I withdraw money if I am abroad? You can withdraw money abroad, but it will not be from a PNC ATM (as they are only located in the U.S.). There is also a 3% processing fee whenever you use your debit or credit cards abroad. Is my account insured against fraud or theft? PNC provides Identity Theft Reimbursement Insurance. This insurance reimburses certain expenses associated with repairing your credit, such as legal fees, lost wages, long distance phone calls, postage, and notary fees. PNC's Identity Theft Reimbursement Insurance coverage is underwritten by subsidiaries or affiliates of AIG Inc.
For Virtual Wallet with Performance Select and Performance Select Checking, you're covered up to $10,000. What is the charge on online transfers from my account to other accounts? There is no charge on online transfers from your account to other accounts. There are limits to the amount you can send, but there are no fees associated. How can I sign up for overdraft protection and what does it cost? PNC overdraft protection comes standard with PNC accounts, and it's free. Fees do apply when you overdraft. In addition to the initial $36 overdraft fee (4 maximum per day), PNC Bank charges $7 per day after four days, and up to a maximum $98. Does PNC Banking use credit scores? PNC uses credit scores to determine credit card and loan approval. Do products/services offered by PNC Banking differ from state to state? Because PNC has such a huge online presence, you'll find that products rarely (if at all) vary from state to state. But if you're looking for a bank with a branch you can visit, you'll want to make sure there's a location near you, as PNC doesn't operate branches in all 50 states. What's great about PNC is that you don't have to go to a branch to open an account. You can also open an account by calling customer service or going online. You'll need to provide your social security number, driver's license, state-issued ID, or a military ID, and make your first deposit ($25 minimum). If you're near a branch, you can benefit from traditional services. If you're into technology and don't care about face-to-face customer service, you'll like the bank's online capabilities, which surpass their competitors. If you're not so tech savvy, and strong customer service is a priority for you, you might want to stick with a more traditional banking option. Do you use or have any thoughts about PNC Bank?